PreLike the Corps of Discovery more than 200 years ago, the 2019 Trail Mixer is “Your Ticket to Great Adventure.” With that as the theme, this year’s event offers some remarkable vacations and adventures, stunning artwork and many other items, all up for auction. 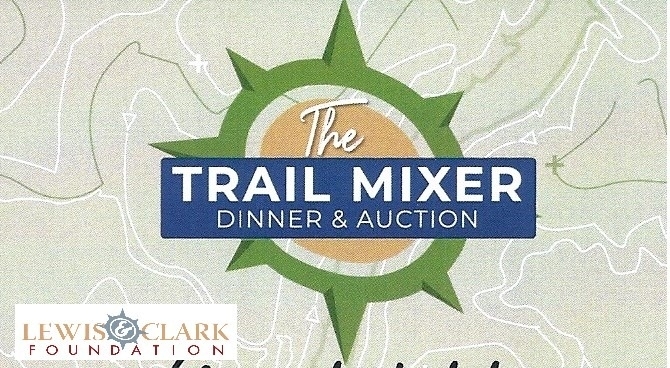 The 14th annual Trail Mixer Dinner & Auction benefits the Lewis and Clark Interpretive Center and its Foundation. The event takes place on Tuesday, April 16th at the Mansfield Convention Center, beginning at 5 pm. Tickets are $50 and available at Kaufman's and the Portage Cache Store at the Lewis and Clark Interpretive Center. Live Auction travel experiences include: a trip to Chicago, including tickets to a Chicago Cubs game, golfing in Arizona, and a Cancun paradise escape. Closer trips include: skiing in Red Lodge and Coeur d’Alene, and whitewater rafting on the Spokane River. Featured artists for this year’s event will be Diane Hausmann and Don Greytak. This year features a special auction for a limited edition, Fender Telecaster guitar, signed by the entire, original band, “The Eagles”, including Glenn Frey. This is one of only 50 in the world. Phone bids will be accepted with advance arrangements. More information on the auction packages can be found on the Foundation’s website below, which will be updated frequently until the day of the event.